Let me start with a confession: 2018 is fast becoming a year to forget for my portfolio. Suffice to say, my shares have suffered a further drubbing… and my annual return is now firmly entrenched in negative territory. I have to admit, those sizzling summer days of soaraway share prices now feel a long time ago. 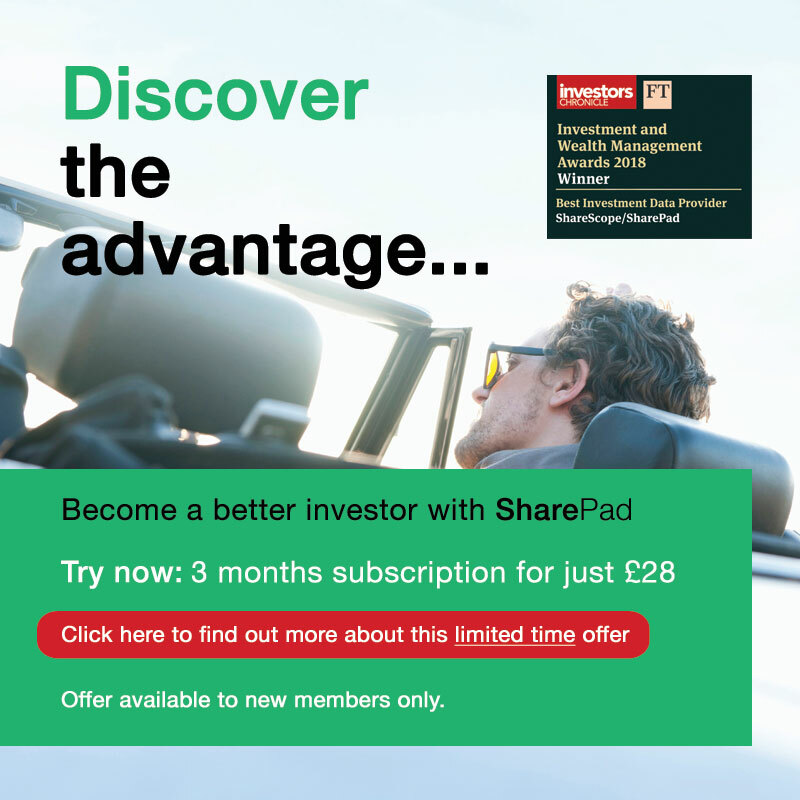 …and with so many investors currently fretting about all sorts of worries, now seems as good a time as any to jump on SharePad and search for those bargain buys! You might recall from the other week that I decided to unearth the market’s most reliable dividend payers. My theory was simple — companies with illustrious payout records should provide much more reliable returns during market setbacks than a collection of more speculative shares. 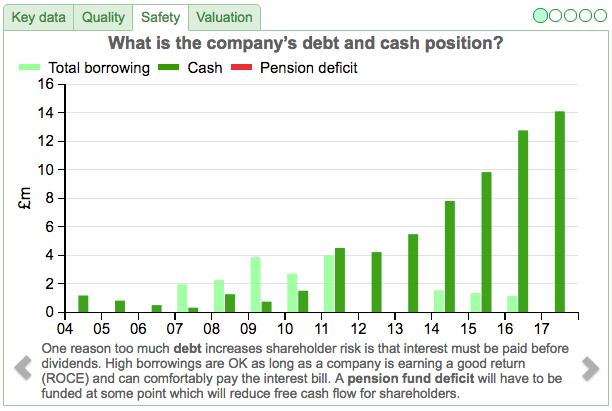 I therefore employed SharePad to identify companies that had lifted their dividend every year for at least the last ten years… and by a compound average of 5% or more. I also limited the search to companies that offered a forecast payout yield of 4%-plus. My screening pinpointed PayPoint and you can click here to read how SharePad helped me evaluate that business. However, my SharePad searching from the other week also revealed a second interesting name. 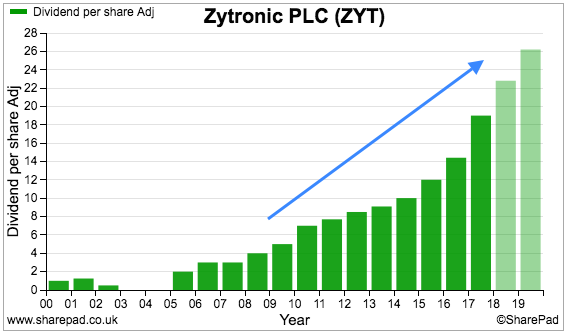 …but in addition, offered a 5.7% forecast yield and net cash that represented a substantial 22% of its market cap. What is the catch to this accelerating and generous income? Zytronic floated during 2000 and the payout history is not perfect. In fact, the firm’s dividend went missing during 2003 and 2004. 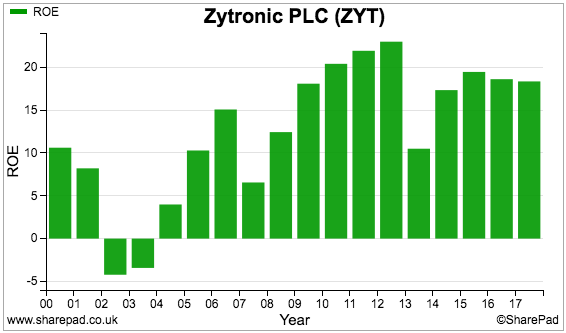 However, the chart does show ten consecutive improvements after 2008. City projections suggest a further two years of advances as well. If anything, the chart shows the rate of dividend growth starting to accelerate. And faster-growing dividends are normally very encouraging for shareholders. …and I therefore wonder what the catch is to this accelerating and generous income. Near-term earnings per share (EPS) are expected to drop by 17%. What’s more, the EPS estimate cited in those forecasts is only a penny greater than the predicted dividend per share. As such, that 5%-plus yield may not be sustainable should the EPS estimate prove too optimistic. Anyway, let’s take a closer look at Zytronic. I will start with what this small-cap actually does. 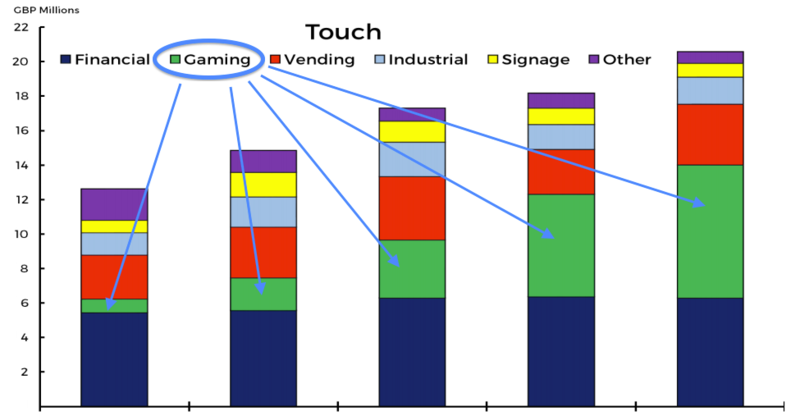 Zytronic’s touchscreens can be as large as seven feet and the larger the touchscreen, the greater the size of the required sensors and the greater the revenue that can be earned. According to Zytronic, the firm’s patented touch technology is capable of detecting 40 or more fingers at once with “millisecond-fast response speeds”. 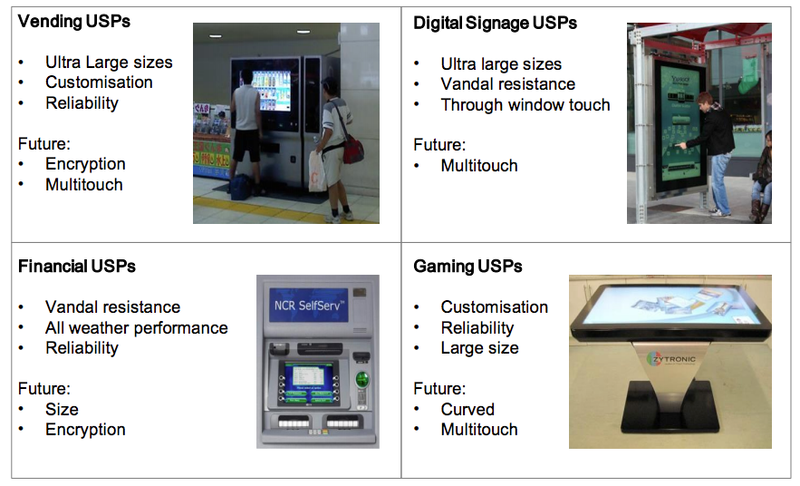 Apparently, the route to success within this industry is to produce super-responsive touchscreens that can be made to any shape, and that can cope with bad weather, people wearing gloves and vandalism. “However, the increase in business required the introduction of some new designs and production techniques which have resulted in lower than expected margins, particularly in the final two months of the financial year. I have to say, extra sales causing extra costs is not the worst reason for a profit warning. In fact, I am sure those extra costs will in time subside once the new production techniques become established. 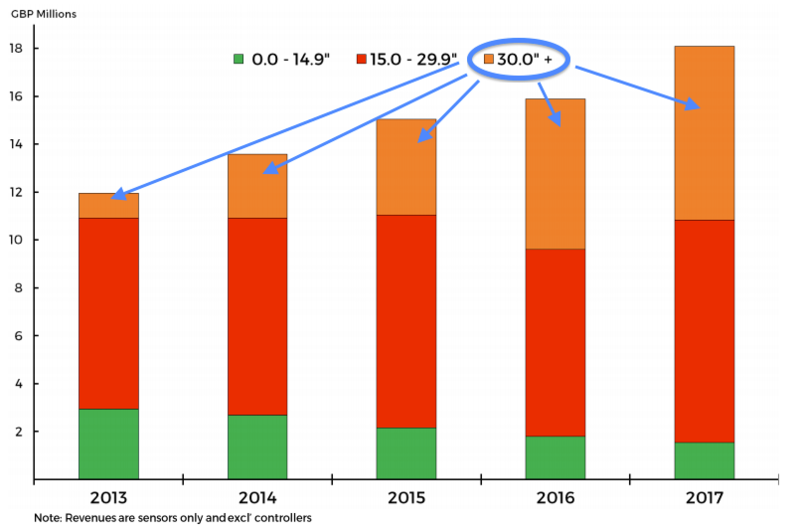 And at least Zytronic is not losing sales! Assuming earnings can recover once again, the price chart does appear interesting. Certainly, the recent 400p looks better than the 630p peak! Zytronic’s trading update also mentioned “a spurious patent claim” that was settled for £72k plus costs of £240k. I have wondered whether Zytronic’s settlement is connected to a patent infringement claim lodged a Mr Ronald Binstead. 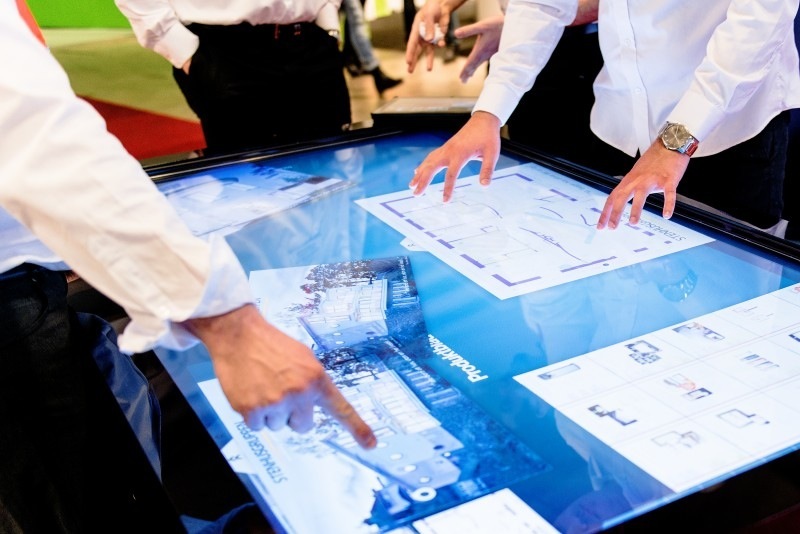 “Early pioneer of touchscreen technology, Binstead Designs Limited (“BDL”), is pursuing a High Court claim for patent infringement, breach of confidence and breach of contract, against North-East England headquartered Zytronic Displays Ltd (a wholly owned subsidiary of Zytronic plc). Formerly a licensee of BDL, the current dispute concerns allegations that Zytronic Displays Ltd is using BDL’s proprietary know how in the course of its manufacturing activities. In doing so, BDL asserts that Zytronic Displays Ltd is infringing UK Patent 2541336, which teaches an innovative method for forming a touch sensor. “It is with considerable reluctance that I have taken this action against a company that I worked alongside for many years. However, BDL is an innovation led business that cannot afford to allow infringements to go unchecked, not only on its own part, but also in fairness to other licensees”. I have contacted Mr Binstead for further comment, but have yet to receive a reply (perhaps for legal reasons). The scale of Zytronic’s alleged patent infringement would be useful to know. Still, a margin average of 15% or so during the last decade seems quite respectable in what no doubt is a fast-changing and competitive sector. 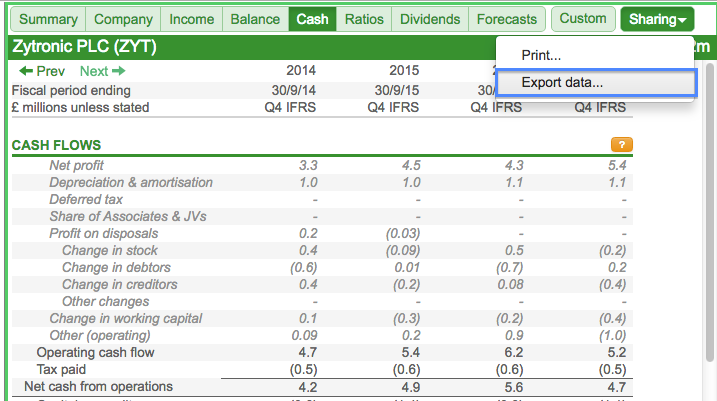 Displayed next to the EBIT margin on the Summary tab is an 18% return on equity figure. Not a truly outstanding result, but quite respectable nonetheless. 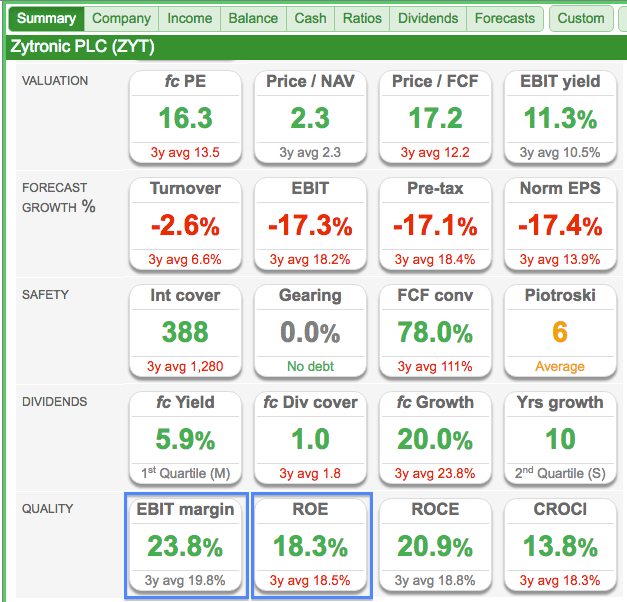 …and quickly made a few calculations for myself to judge how Zytronic has converted its reported profit into cash. The numbers seem good to me. 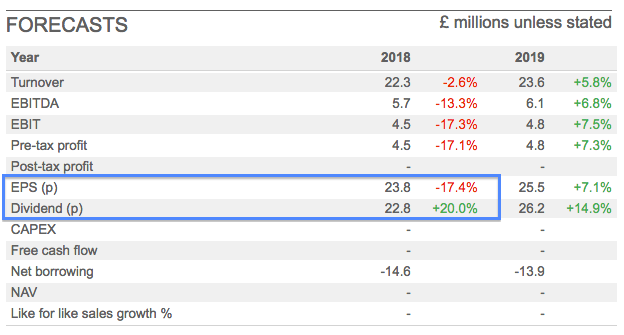 Indeed, the totals for ‘change in working capital’ appear reassuringly modest given Zytronic is a relatively small company that serves larger customers. Furthermore, I see aggregate capital expenditure has just about matched the associated depreciation and amortisation charged against reported earnings. A bonus from my spreadsheet is the empty ‘Acquisitions’ line. Very commendably, Zytronic’s growth record has been achieved organically. Mark Cambridge took the top job during 2008 and the 2017 annual report reveals a number of favourable traits for discerning investors. For a start, Mr Cambridge holds a Material Sciences degree, a corporate finance qualification and has previously headed Zytronic’s marketing efforts. In my experience, a boss with a good mix of technological, accounting and sales skills is quite rare. 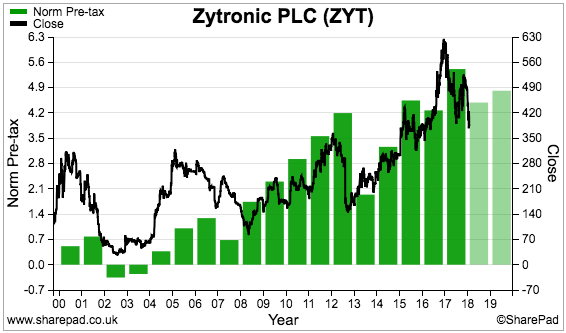 Here is another good sign (at least for me): while the dividend under Mr Cambridge’s ten-year watch has grown from 5p to 19p per share (or 280%), his basic pay has advanced from £100k to only £145k (or 45%). 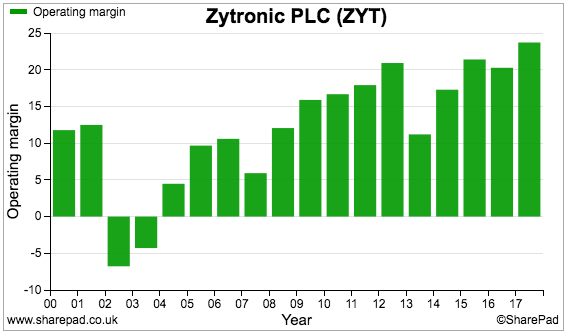 I do like companies where the income for shareholders grows faster than the income for the chief exec. Other remuneration plus-points include an annual bonus limit of only 20% of basic pay, and the current absence of any management options. All told, I get the impression Zytronic employs a welcome ‘thin cat’ board that does its best to treat shareholders well. 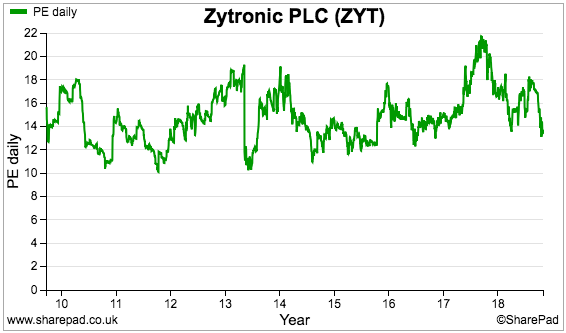 However, I can live with those holdings given how Mr Cambridge has rewarded investors through the growing dividend. 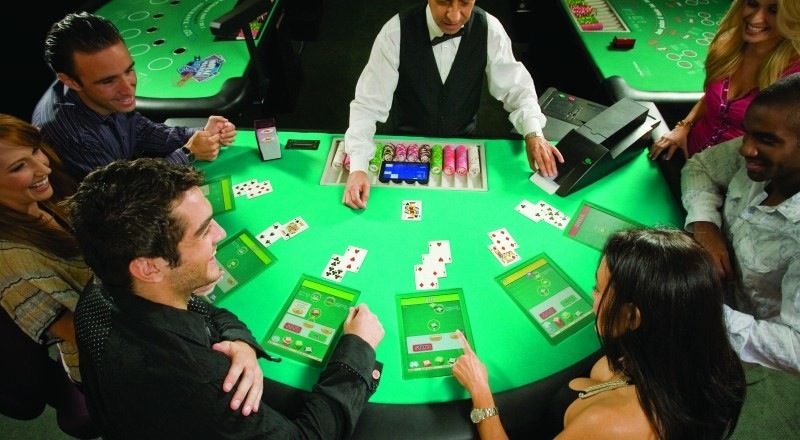 One clear drawback to Zytronic is the group’s concentrated customer base. I have invested in companies before that have been dependent on a few clients, and I can tell you from bitter experience that the departure of a large customer does no favours to earnings or the share price! 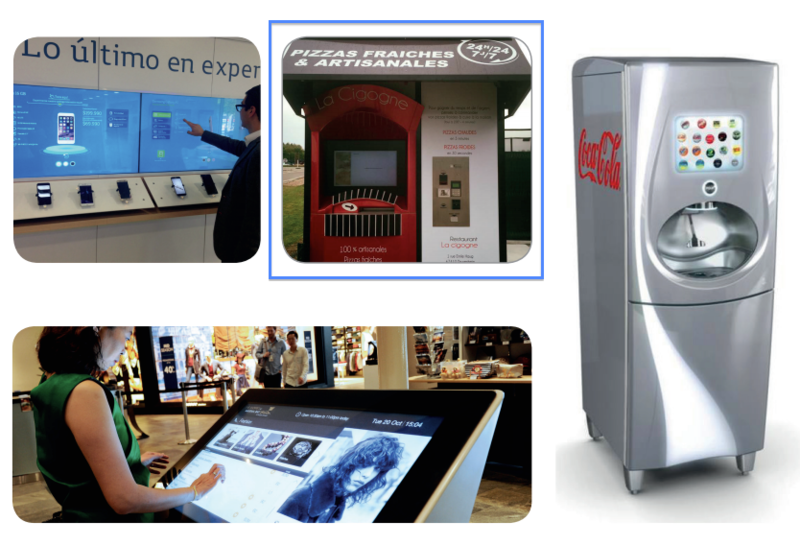 Still, Zytronic appears to have handled its customers well to date and the group argues that, once a client has a Zytronic touchscreen incorporated into a machine, replacing the touchscreen with an alternative is difficult without overhauling the rest of the machine as well. Anyway, I will leave you to decide whether the narrow customer base — alongside the risks of adverse patent claims and general technological obsolesce — are enough to overshadow the impressive dividend record, decent financials and talented boss. 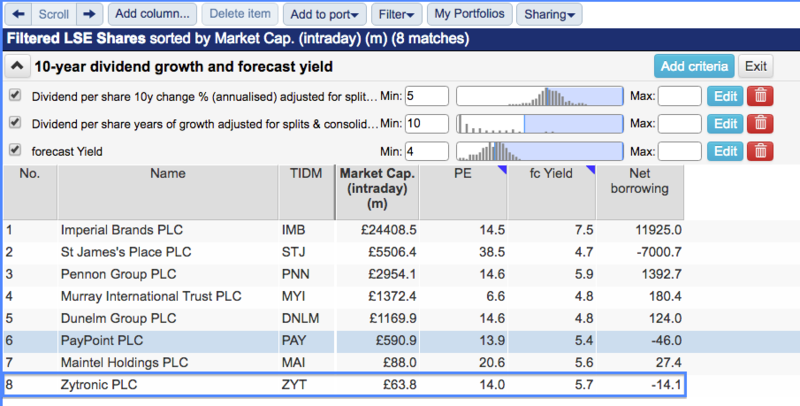 Remember, too, that 22% of Zytronic’s market cap is currently represented by that £14m in the bank. Disclosure: Maynard does not own shares in Zytronic.